Designed to raise funds for The Christie Charity, supporting those whose lives have been affected by cancer. 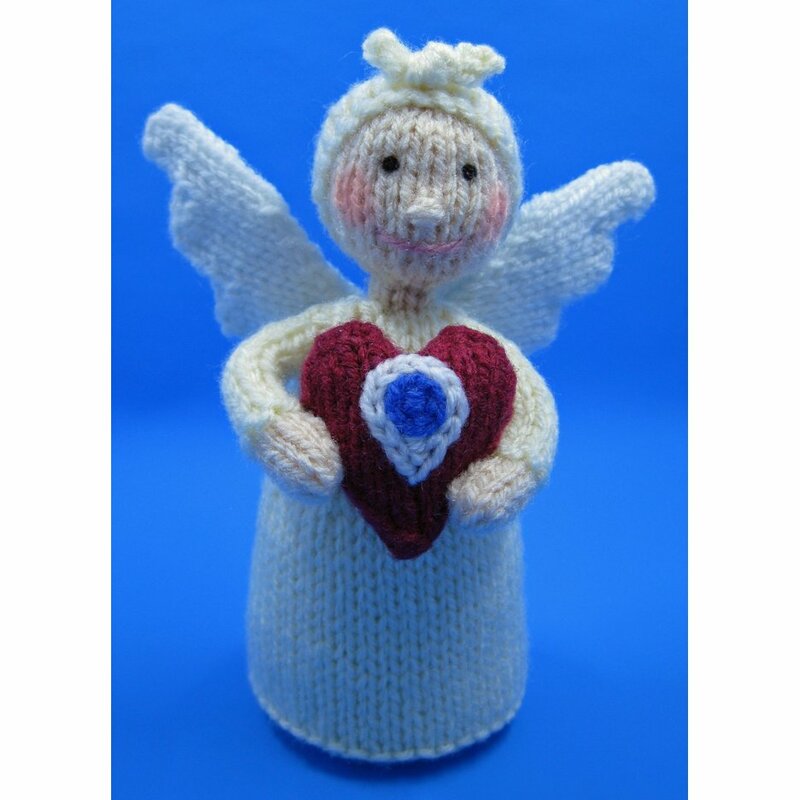 All proceeds from the sale of this pattern will be donated to The Christie NHS Charitable Fund. You will need: Of Hayfield Bonus DK, 100g balls: 12g in Aran 993, 6g in White 961 and 4g in Flesh Tone 963; 2g oddment of maroon DK yarn; 18in (50cm) lengths of black, dusky pink and blue DK yarns; pair of 3mm (no.11) knitting needles; 10g of washable toy stuffing; red pencil; long tweezers.